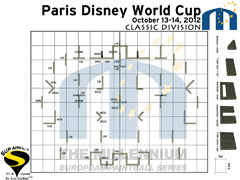 Paris Disney World Cup – A Thank you! Despite the unseasonably adverse weather conditions we experienced in Paris, the event was still a great success! Our staff and Refs did an amazing job to keep the event running smoothly. We would like to thank all teams, players, spectators, sponsors and trade who attended the event and battled through the rain with us, but also take this opportunity to thank our amazing Millennium team who did a fantastic job from beginning to end! Congratulations to all the 211 teams that competed over the weekend! We witnessed Event Champions be crowned over 5 divisions and saw Art Chaos Moscow, Vision Marseille, Izmir Collision, Aggression The Hague and GFY Evolution 2 walk away as 2012 Division Champions. Not only did we have the largest number of teams ever, but also the largest Trade Show that was very well attended, and provided much needed shelter at times! Thank you to every one of you who attended this event, and our 2012 series. We hope to see many of you (and more!) back for the 2013 series! 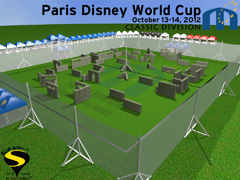 The tournaments ranking for the World Cup in Paris-Disney within the Millennium Series ranking for the season 2012 is online for all divisions! 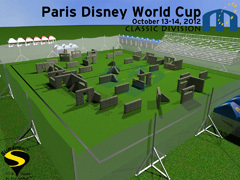 Paris Disney World Cup 2012 ... only a couple of days to go! Over 215 teams, representing 30 different countries. 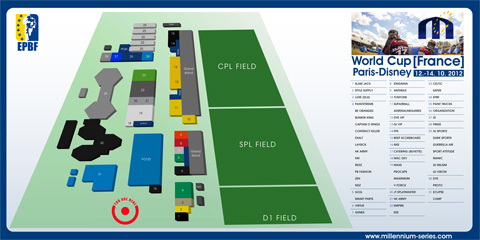 A huge tradeshow over 4 days, where sponsors will have hundreds of different products on display and will be introducing their new product lines to you! Team signings will occur throughout the weekend, where there'll be the opportunity to meet your favourite players and teams! Witness the top teams across 5 divisions battle to be crowned the Millennium 2012 Champions. The debut of the "Classic Division". The first on-site players party - Saturday 13th October, and many more surprises to help celebrate the Tontons 20th Anniversary. 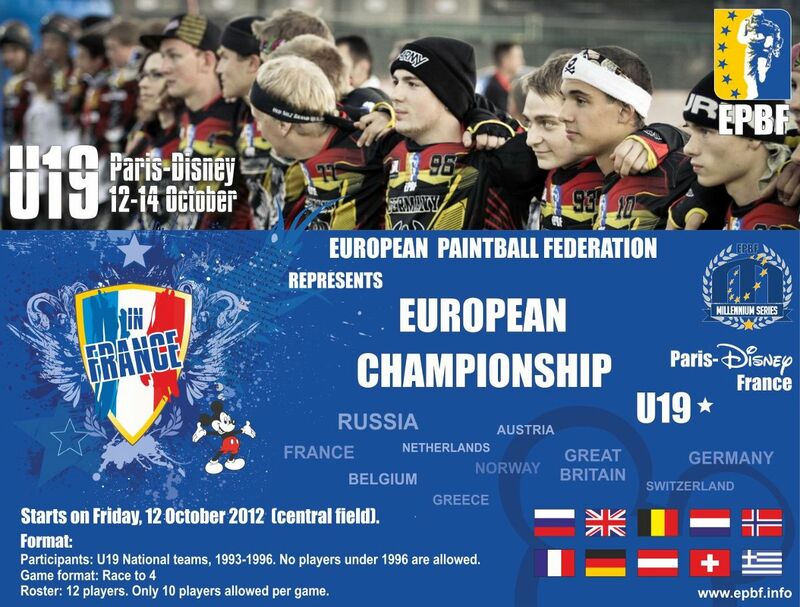 The final event of the EPBF Calendar, the U-19 Championship. 10 European nations will compete to be named European Champions. This is definitely one not to be missed ... entrance to spectators is FREE! Based on the Formula 5 format, the objective is to score a maximum number of points by activating the central buzzer and eliminating your opponents. Teams will play 3 preliminary round games against teams from their division. 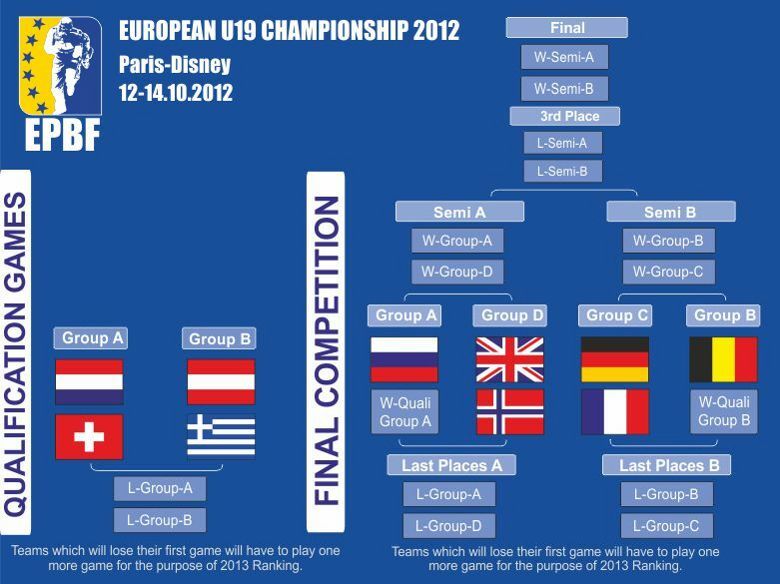 Best 2 teams from each group will qualify for the Quarter Finals. The normal cost for this division will be €1000 + Vat per team. 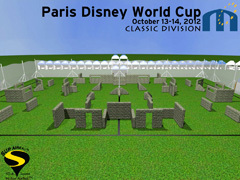 For this Paris exhibition event, the Millennium will cover 50% of this entry fee for each team. 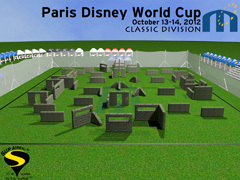 Special Disney Price: €500 + Vat per team. 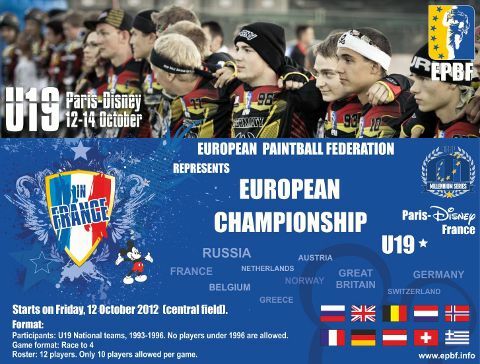 https://epbf.paintball.biz/area-league/register.php?category=MS_Division_Classic&league=Millennium-Series , or register your team with your EPBF Manager Account. Don’t miss out on experiencing this new format at the MS!